Mary Ann & Tommy. 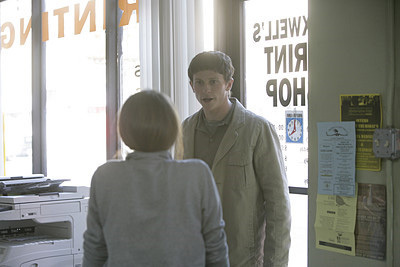 Lauren Bittner as Mary Ann Maxwell and Jonathan Tucker as Tommy. Wallpaper and background images in the The Black Donnellys club tagged: the black donnellys image picture run like hell mary ann maxwell lauren bittner tommy jonathan tucker. This The Black Donnellys photo might contain le dîner, salle à manger, signe, affiche, texte, tableau noir, tableau, and affiches.